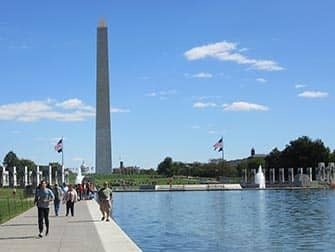 On the New York to Amish Country, Philadelphia and Washington D.C. 2-day trip you get a bit of everything. 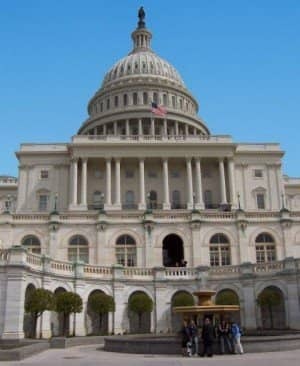 The peaceful countryside as well as the current and former bustling capitals of the U.S. It’s one of the most popular tours available and I highly recommend booking online in advance. 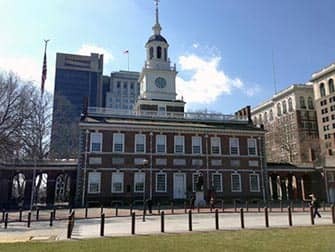 The tour departs on a luxury air-conditioned coach from Gray Line Visitors Center at 07:00 sharp and will head straight to Philadelphia – the City of Brotherly Love. Here you will drive along one of the oldest inhabited streets in America, the Elfreth’s Alley. A main attraction on the tour is the Liberty Bell, the historic symbol of American Independence and freedom. 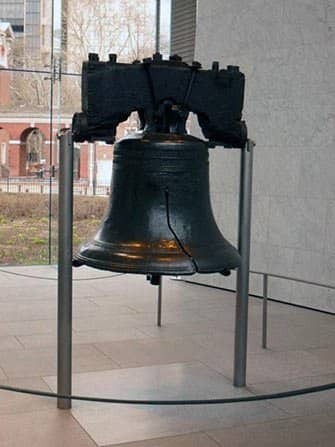 This bell, thought to be one of the bells marking the reading of the Declaration of Independence on July 8th 1776, is inscribed with: Proclaim LIBERTY throughout all the land unto all the inhabitants thereof. After visiting the Liberty Bell, you’ll be able to jog up the 72 steps in front of the Philadelphia Museum of Art, made famous by the “Rocky” movies. Heels are not advised. 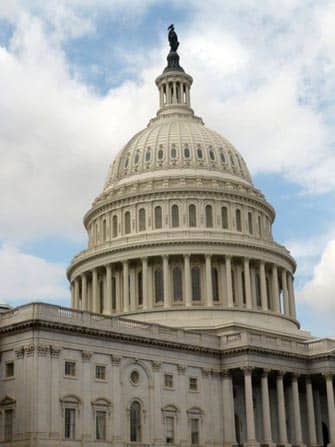 From Philadelphia you’ll head on to Washington D.C., through Delaware and Maryland, where you’ll see the Capitol Building, the White House and the Senate Buildings. You will have enough time to explore the famous Smithsonian Air and Space Museum and the Lincoln Memorial. You can also visit the Vietnam and Korean War Veterans memorials. Soak up as much of the capital as you can before you head out to a 3-star hotel just outside of Washington D.C in Maryland. Bright and early the next morning, after enjoying breakfast at the hotel, you’ll be visiting the Arlington Cemetery where you’ll see the famous ‘Changing of the Guards’ ceremony. The Arlington Cemetery is a military cemetery created during the Civil War and it commemorates more than 400,000 American soldiers who lost their lives during this war. Others from the more recent Iraq and Afghanistan wars as well as the Vietnam war are also buried here. You’ll head onwards to the US Mint where American money is created. Leaving behind the busy city of Washington D.C., you will stop at Lancaster in Pennsylvania, a quiet town where the Amish thrive. Here the Amish have no electricity, telephones or running water. You will be able to browse Amish handmade products and even ride a horse-drawn carriage! Before you know it, the day is over and you’ll be returned to the glistening lights of New York City. After purchasing you will receive a voucher that you can print and use as your ticket, or show as a mobile ticket on your phone.